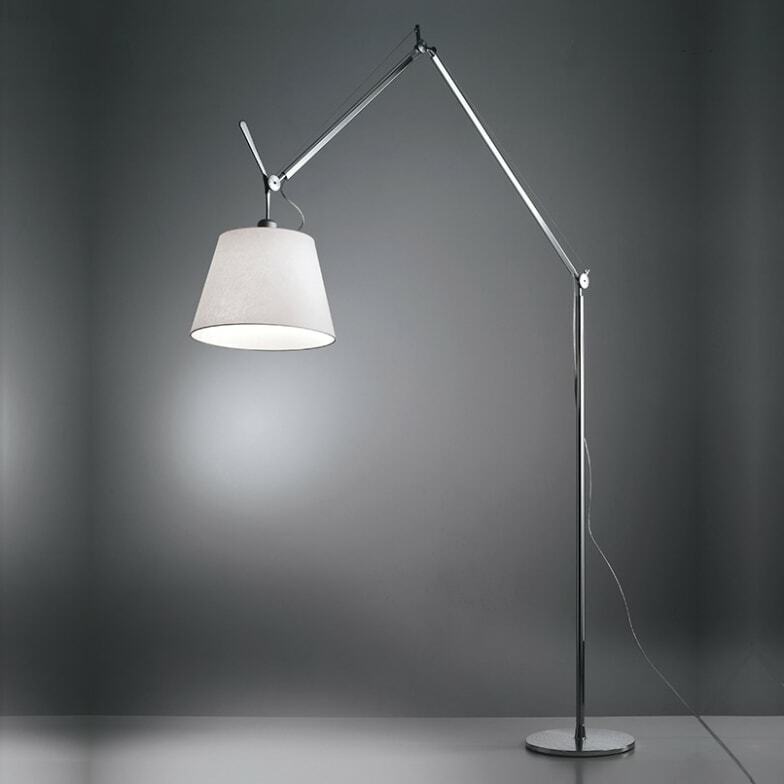 Very elegant floor lamp with multiple adjustable arm and lampshade. The impressive Tolomeo Mega floor lamp was created in 2002 and is one of the largest models in the Artemide Tolomeo collection. For maximum flexibility, it features a spring balancing system and two polished aluminium joints. The beautiful lampshade is made of either black or grey silk satin or parchment paper stabilized with plastic. It is also available in three sizes with different diameters - 32 cm, 36 cm and 42 cm. The base and the alignable lamp arms are in the variant offered here in glossy aluminium, but can also be designed in noble black. Do you have a question about "Tolomeo Mega Floor (aluminium)"? How can we contact you?